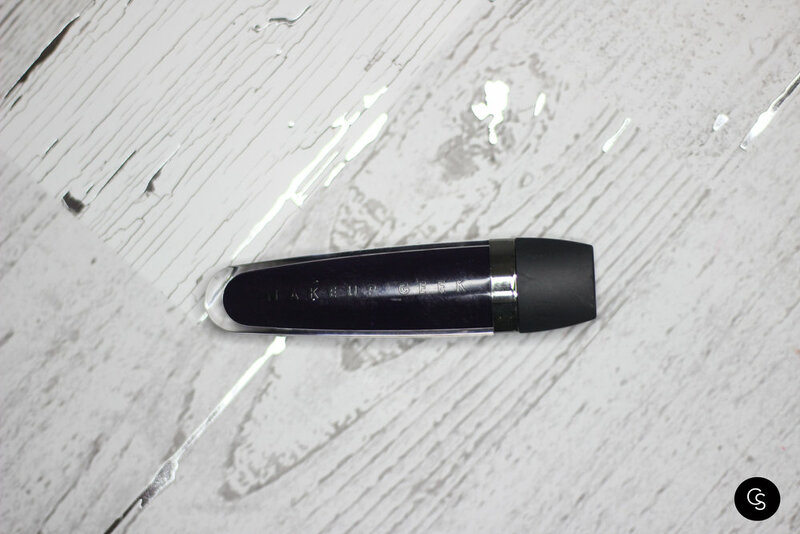 Deep aubergine purple; Makeup Geek Showstopper Creme Stains will ensure you’re the center of attention! 18 long lasting shades with a precision applicator will feel light on the lips throughout the day! 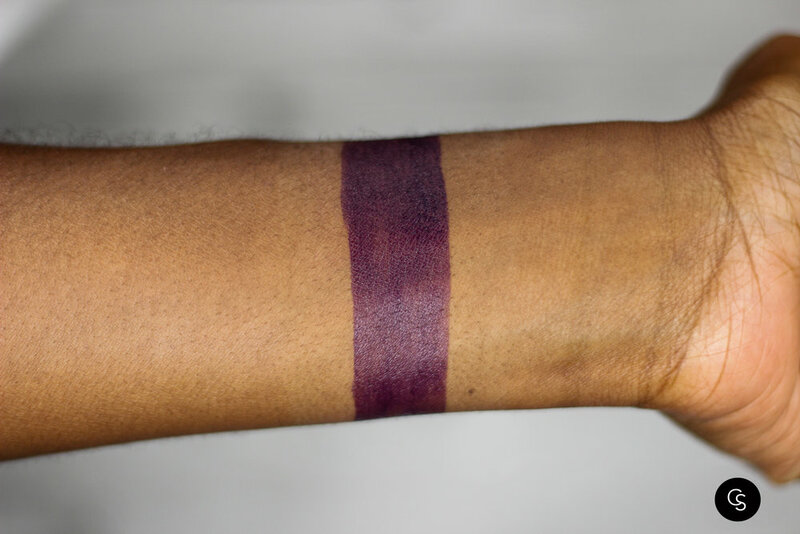 Each limited edition shade is highly pigmented and offers effortless, buildable coverage. This lipstick is a pretty shade but it was pretty hard to get an even coat of product, especially on darker, larger lips. The stain like property it boasts was a bit difficult to acheive with the patchy application. Be prepared to use two or three coats of this shade.